Bringing us to Billy Swan’s cover of the King’s “Don’t Be Cruel,” the lead track off the essay’s companion playlist, An Idle Hour. 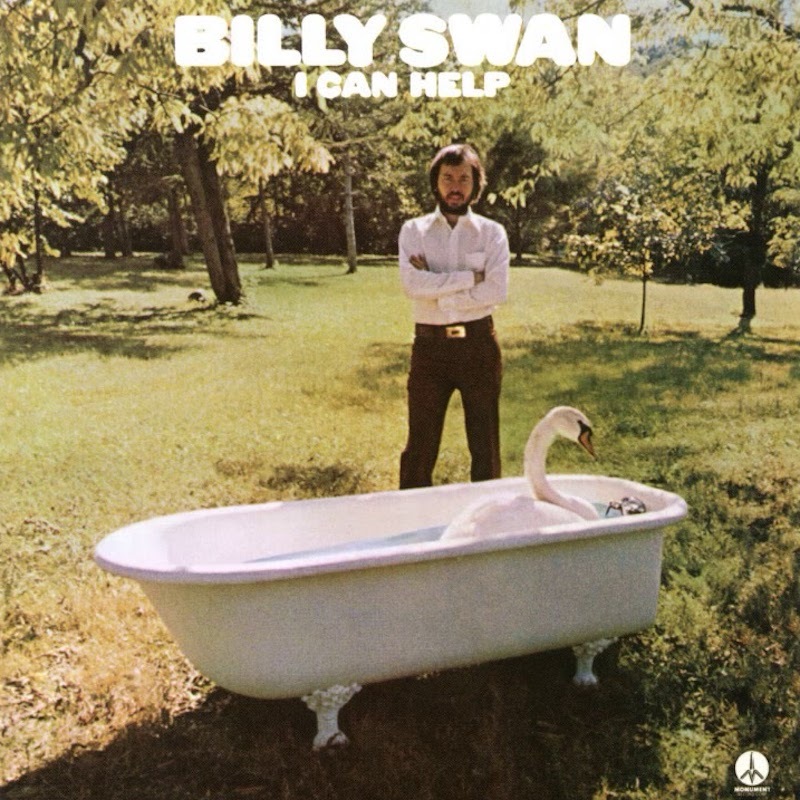 Culled from Swan’s 1974 debut, I Can Help, a record that went number 1 on the US Country charts, been feels like a somewhat lost gem of rock, country, and a little bit of jazz, the Missouri native takes the fuzzed-out swing of Elvis’ original and turns it upside through a lounged and syrupy lens. Doubling the song’s length to over four minutes, Swan takes his time with the lovelorn piece – letting the groove guide the way. P.S. – Dig this crackling live version of I Can Help’s title track, its glossy doo-wop soul turned free-jazz swing on this ’74 edition of Midnight Special, featuring the recently passed Memphis Boys guitarist Reggie Young, who laid it down with the likes of Elvis, Dusty Springfield, Kenny Rogers, Waylon, Haggard, Dolly, John Prine and a great deal more. The performance exudes a poise in its soft rock grooves, with a dose of the blues that recalls NRBQ and Wings, and prophesizes a rapidly approaching Emmylou Harris, traveling via the Luxury Liner express. P.P.S – Swan wrote “I Can Help” on a little RMI organ that Kris Kristofferson and Rita Coolidge bought him for a wedding present. A much too sweet and wonderful anecdote to omit. Related: From the AD archives, check out Gold Star’s Lagniappe Session, covering Billy Swan’s take on “Don’t Be Cruel”.